You have a ship! And it's cool! It's got The Captain, a Badass Crew, and maybe a Wave Motion Gun and other cool stuff! You can park it in the Elaborate Underground Base, but then, the whole point of it is that you can Travel Cool to places with it. Well, that depends on the kind of ship or vehicle. And there are other ships, that do not fold neatly into one of these categories. Please add only examples that do not fit in one here. (Such as falling into more than one. Or sailing through dimensions and the like.) If you're still not sure, consult the Travel Cool vehicle index. If you're looking for a relation-ship, please see Shipping Tropes. Mazinger Z: Salude and Bood, Baron Ashura's submarine fortresses. The former could disguise itself like an island. The Dai-Gurren in Tengen Toppa Gurren Lagann. Although it eventually gets the ability to swim and fly, it was originally designed as a land-based battleship. Specifically it was designed as a fully-functioning Humongous Mecha with a battleship for a torso. The Mother Vanguard from Mobile Suit Crossbone Gundam - it's a Cool Starship that's a mecha-scale pirate ship, complete with beam sails for propulsion, a full-body beam shield and a golden figurehead of a woman on the prow. Space Battleship Yamato deserves mention for being a cool ship that was sunk and later converted to a Cool Starship. The Bardanos from Ozuma which is a cool sand submarine. In Girls und Panzer, the schools are set in a city on top of an aircraft carrier: the protagonist's school ship is 7 km long and 1.5 km wide : the surface is vast enough to have mountains and rivers. Curiously, this is one of the smaller carriers seen: the others are even larger in size. Also, all of them are up-scaled versions of real-life warships made during the two World Wars. The invading countries of Magic Knight Rayearth II each get one. Autozam's is a standard battleship, Chizeta's is shaped like a magic lamp, and Fahren's is shaped like a Chinese dragon. It's hard to say if they are air or spaceships, though, since the medium between the worlds is ambiguous. Fate/Zero: Gilgamesh has the Vimana , or a "Chariot of the Gods'' in his seemingly endless repository of "treasures". It appears to be mentally controlled, flies using no visible propulsion, and can outmaneuver an F-15J. It doesn't seem to have any built-in weapons, but Gilgamesh being who he is, that isn't a problem. In Justice Society of America, the android Hourman travels through time on a sailing ship. Star Trek: The Next Generation/Doctor Who: Assimilation² finds The Eleventh Doctor complimenting the design of the Enterprise-D's bridge. As seen in the Supergirl/Green Lantern crossover Red Daughter of Krypton, the Red Lanterns have the Kaalvar, their flagship. It's large, sleek and armed with a Wave Motion Gun. 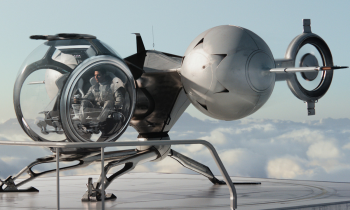 One could be excused for thinking that the impossibly cool Bubbleship (pictured above) is the true star of Oblivion, with Tom Cruise co-starring as her pilot. The S.H.I.E.L.D. Helicarrier as depicted in The Avengers melds Cool Boat and Cool Plane as an Airborne Aircraft Carrier. In Harry Potter and the Goblet of Fire, the Durmstrang students travel to Hogwarts in a submerged sailing ship with only the crow's nest visible, but dramatically bursts up out of the water when it arrives at the school. In The Silmarillion: Eärendil's Vingilot. It starts out as a fairly Cool Boat and ends up a very Cool Airship / Cool Starship... which also happens to carry the Morning Star through the sky. In John C. Wright's Chronicles of Chaos, Amelia has Vanity summon her Cool Boat in outerspace. It surprises Vanity, but turns out to be a Cool Starship as well; they go to Mars (the planet) in it. Amelia also sees others sailing through space in what are clearly Cool Boats. Robur's airship from Jules Verne's novel Robur the Conqueror. First published in 1886, it is possibly the ur-example. Though Albatross is not lighter-than-air, it is a huge multi-propeller helicopter. The viability of heavier-than-air craft was disputed back then, and such a dispute is part of the plot, with Robur showing his ship is superior to any silly balloon. Destroyermen: Where to begin? Well, the four-stacker USS Walker, of course, despite being horribly outdated for World War II. Nevertheless, it becomes the flagship and, for a time, is the most powerful ship in known waters on the alternate Earth. Its sister ship the USS Mahan constantly ends up being sunk, blown up, or torpedoed (that last one was an accident on the Walker's part) and rebuilt every time. On the Lemurian side, the Salissa (later USNR Salissa), a carrier-sized wooden sailing ship originally only armed with ballistae but is eventually turned into a proper carrier/seaplane tender while still capable of devastating broadsides with cannons. On the opposite side, we have the Japanese battlecruiser Amagi and later Japanese/Grik ironclads. Listing every Cool Ship would take half a page, though. At the end of Charlie and the Chocolate Factory, the Great Glass Elevator turns out to be capable of flying through the air if one presses a certain button, despite looking like no Cool Airship known to man. In the sequel Charlie and the Great Glass Elevator, the elevator is...well...elevated to Cool Starship status. In The Heroes of Olympus Leo builds the Argo II, a warship based on Ancient Greek triremes that can sail the seas or the sky with ease, plus it has a bronze dragon automaton figurehead, capable of sensing incoming dangers, and all the control interfaces an ADHD demigod could want. The TARDIS of Doctor Who. The most powerful ship in the universe- Bigger on the Inside, sentient, can travel anywhere in time and space....and stuck in the form of a blue police box, and so old that it's pretty much held together by string. At least it's the most powerful ship in the universe since the competition of every other TARDIS was eliminated. To give the Doctor's TARDIS its full name, a TT Type-40 Mark III Time Travel Capsule, its make and model was long-since obsolete compared to newer TARDIS models and on its way to the scrap heap when the Doctor first stole it. JAG showcases much of what the U.S. Navy has in store, and some episodes were filmed on actual ships. International Rescue had a whole cool base full of cool ships on Thunderbirds. Journey's Scarab Escape Vehicle from their 1981 album Escape, which also appeared in the video game Journey Escape. The Glidecraft from Stargate comes out of Ra's Pyramid and flies around the playfield. The titular battleship Antaeus from Hostile Waters: Antaeus Rising is the last functioning Adaptive Cruiser capital warship, preserved in case humanity ever needs to fight a war again. Not only does the ship survive being sunk for 20 years with only moderate amounts of damage, but it also can create armies out of junk. Of the 2 such ships kept at the bottom of the sea, only the Antaeus managed to surface again. Coincidentally, she's also the first Adaptive Cruiser ever built, Prototype 00. In the Tie Fighter series, the Missile Boat. It is regarded by all fans of the series as the prime example of More Dakka and in X-Wing vs Tie Fighter, it was left out for balance reasons, but it still had an entry in the craft library that reads: "This is the King Hell God Emperor Starfighter of Death and you can't fly it yet!" Shin Megami Tensei: Strange Journey has a ship class all on its own, comprised by five ships - the Lightning, the Red Sprite, the Blue Jet, the Gigantic and the Elve. How cool are they? They have VTOL capabilities. Despite being essentially several-story high, massively shielded tanks. Equipped with plasma armor. Fabrication laboratories. Hospital sections. Its very own on-board AI navigator. And dimensional-crossing tech. The Lightning is even capable of recreating hostile dimensional terrain to better suit the navigator's needs. In the PC-98 Touhou game Phantasmagoria of Dim. Dream, the final boss Yumemi and her assistant Chiyuri cross into Gensokyo from an alternate world with a Probability Space Hypervessel. The headquarters of The Wonderful 101 is the Virgin Victory, which first appears to be a rocket-propelled flying ship with vaguely naval overtones ◊, but which is later revealed to be capable of both underwater and space travel. Immorta's personal spaceship is arguably more impressive, as it's equipped with a drill that lets it tunnel through the ground. The Van Eltia from Tales of Eternia: Is a massive boat with customizable rooms and looks to be made out of stained glass. It starts off as a simple boat, but later gets upgraded into a cool airship, and then a cool starship with mini-submarine pods. 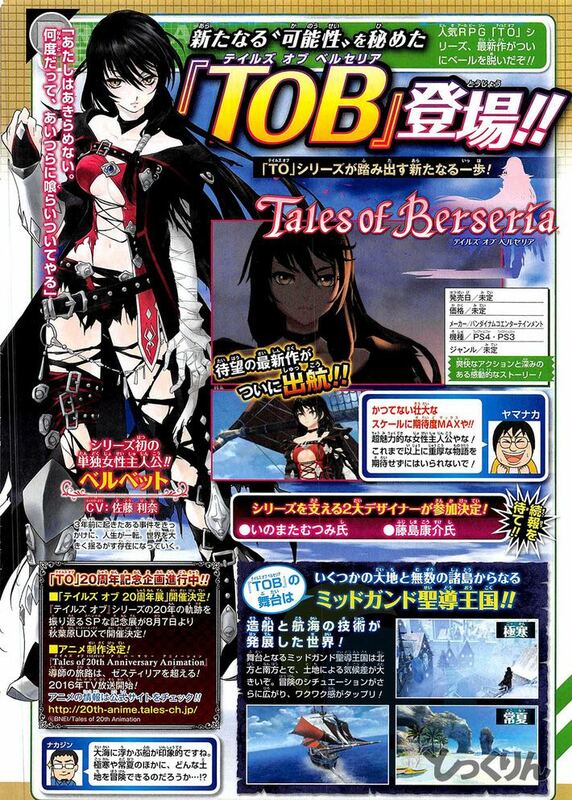 The teaser image ◊ for Tales of Berseria features one. In Delilah Dirk and the Turkish Lieutenant, her sail boat, it turns out, can fly. In Rusty and Co., Captain Plainbeard, land pirate, has a land ship that runs on railroad tracks. Yellow Submarine. The yellow submarine isn't just a Cool Boat—it can fly. It also has its own Hyperspace Arsenal controlled by Context Sensitive Buttons, and the 7th Cavalry standing by in case of attack. Ōban Star-Racers: The show has a plenty of these. It has a number of cool-looking aircraft, such as starships, sentient ships, and hovercrafts. The Godzilla Power Hour: The Calico is essentially an Expy for Jacques Cousteau's Calypso, but with a fast hydrofoil mode when it really needs to get somewhere. In one concession to reality, the Team Pet, Godzooky, usually has to take to the air to reduce the weight on the ship in order to reliably maintain this form of propulsion. Deep Dive Daredevils: The Custer looks like an ordinary sub of The '30s, but it's packed with advanced technology decades ahead of its' time.